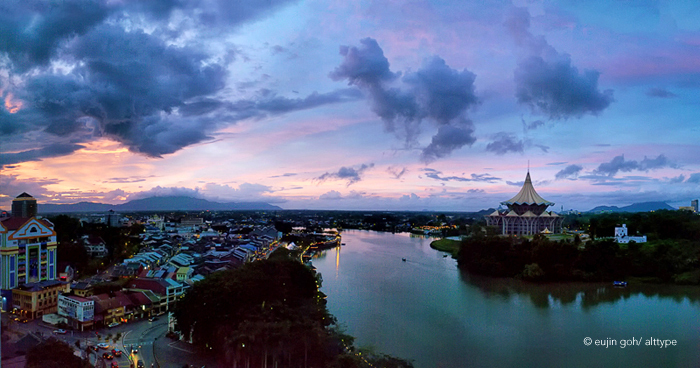 Kuching is the capital city of Sarawak, Malaysia’s largest state situated on the island of Borneo. In the city, there is a river separating the north and the south called the “Sarawak River”. Image | This entry was posted in Travels and tagged alt.type, alttype, Asia, Borneo, Dusk, Eujin Goh, Kuching, Malay Kampungs, photography, Sarawak River, travel. Bookmark the permalink. The copyright for any material created by the author is reserved. Any duplication or use of images in other electronic or printed publications is not permitted without the author's agreement.